He is a skilled advocate known for getting to the core issues quickly and tackling them effectively and has a reputation for possessing good judgement and refined inter-personal skills as well as being both practical and analytical. James is approachable to discuss initial problems and issues solicitors may face in dealing with claims and may be relied on to provide a fast turnaround of paperwork when required. Before being called, James was counsel for a global FTSE 100 company for eight years undertaking multi million commercial contract negotiations. He brings a wealth of business experience to his practice, which also includes general commercial and property work. James lives near Winchester and predominately covers courts in London and the South but his fast track and multi track practice takes him nationwide. James has a great deal of experience representing Claimants and Defendants at costs budgeting and costs assessments. James' clinical negligence work consists predominantly of multi track claims, and in particular cases with significant procedural or technical issues, or complex medical evidence. James advises and represents claimants and defendants in all areas, including allegations of fraud of Personal Injury related claims, mainly arising from road traffic accidents, employers liability and public liability. James is also a member of the Motorcycle Group tackling serious injuries (he also has a m/c licence). James also has experience in injuries arising from accidents involving HGVs and buses. James is regularly instructed for both claimant and defendant and has a thorough understanding of credit hire. James is regularly instructed in all areas for both claimant and defendant and has a thorough understanding of the latest developments EL/PL and Occupier’s Liability. James involvement is frequently from the outset: by assessing and advising on prospects, to advising on quantum, to drafting pleadings, drafting questions, to conferences with witnesses, to round table meetings and onto trial. James was instructed in first instance and on appeal (both successful) regarding a slip and trip/Highways claim against a London borough: Simson v London Borough of Islington,  EWHC 2527 (QB) setting a new precedent requiring inspections to include area under objects on the highway such as parked cars and refuse bins. James advises and represents claimants and defendants in all areas, including allegations of fraud in Holiday Sickness Claims. 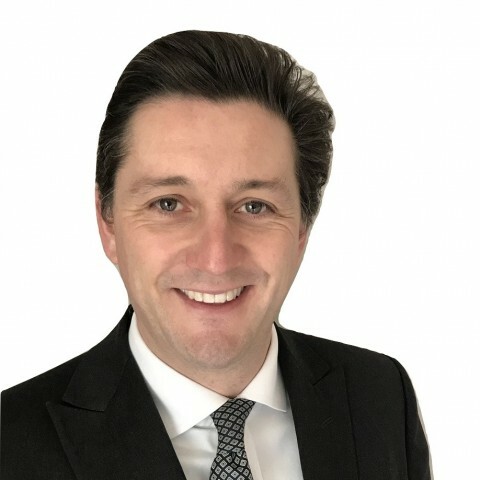 James advises and represents claimants and defendants in property law (both commercial and residential) including landlord and tenant, property agreements, easements and restrictive covenants, mortgages, boundary disputes and leasehold enfranchisement. With his unparalleled experience of a wide range of commercial activities, he has the necessary hands-on experience needed to resolve difficult issues, particularly using his specialist technical knowledge of broadcast and satellite communications, telecommunications and commercial contracts. "Just to let you know that DJ Davies sitting at Chesterfiled CC commented on the fact that he was “assisted greatly by the advice of Counsel in this matter, the advice was such that it supported the facts and he had nothing further to consider” Ann Lee, Minster Law"
"Just a quick thank you for all the assistance you have provided to me on my not so straightforward matters, together with everything else! Hope to be in touch again shortly. Kind Regards Sarah Sargent "
"Thanks for the attendance note and the great result today. John Cuss, Fee Earner, Minster Law Solicitors"
Dear James, Great result, I am very pleased. Both my Client’s couldn’t stop praising you, they said you was great and felt ever so comfortable with you and couldn’t be happier with you and the outcome. Thank you for your assistance. Hi (James Osborne), I spoke with the Claimants yesterday and they said that you were exceptional in Court and they were very impressed. I have passed these comments onto the Senior Partner here, Sarah Waddington. Hi (James Osborne), thanks for the draft submission. I have read this in detail and want to thank you for the sterling effort you have made with the written submission. It clearly summarises the case and highlights the critical points. Thank you (James Osborne) for your attendance note following good result on Friday, [the client] has given you a glowing recommendation. Dear (James Osborne), Great result there. That is 2 out of 2. Thanks for all your help. Thank you so much (James Osborne) for your assistance in this matter and for getting the right result. My clients were delighted with your efforts and very impressed with your whole conduct of the case. Given that their depot is quite local we shall not hesitate to instruct you again. The client has just called me. She was delighted with the outcome and sung the praises of James Osborne. Thank you so much James [Osborne]. Everyone including the Senior Partner and the client is delighted with the result. Thanks James [Osborne]!! The unbeaten run continues!! Another fantastic result. I spoke to the client yesterday evening and he said to pass on his sincere thanks and that you were ‘very impressive’. "I would 110% recommend him to represent anyone. I am so pleased we won the case but more pleased for James (Osborne). He was brilliant." I have had the pleasure in working with James [Osborne] on numerous occasions on various instructions and briefs from fast track county court claims to written advices. James is extremely thorough, has a keen eye for detail and consistently delivers excellent results. James also takes the time to have a detailed conference with you in advance of a hearing which is something many barristers do not do. I can't say how impressed I am at the speed with which you (James Osborne) turned these advices round thank you. Our client Mr Fisher was also delighted with the outcome and your work [and says] 'I also convey my thanks to Mr James Osborne, for representing me today at court. Needless to say I am delighted with the positive outcome of the case, and appreciate all the work you have put into this'. Just to let you know that DJ Davies sitting at Chesterfield CC commented on the fact that he was "assisted greatly by the advice of Counsel [James Osborne] in this matter, the advice was such that it supported the facts and he had nothing further to consider". Excellent result James [Osborne]-much appreciated. Outside of these key areas of law, James Osborne (2006) is always willing to consider any enquiry requiring the experience or knowledge needed to help you or your client. Please call James direct or the support team on 01823 247 247 if you would like to discuss any aspect of this profile. This is a personal injury / Highways Act case which was initially won in the county court before Recorder Bowdery QC and subsequently (successfully) defended on appeal. In the appeal court, Lord Justice Lewis set a new precedent, that a parked vehicle in a residents bay ought to have been be moved as there was a nearby defect that should have alerted the council's inspector to further investigate the area under the vehicle, whereupon the index defect would have been discovered.